Happy Christmas Eve to each of you!!! 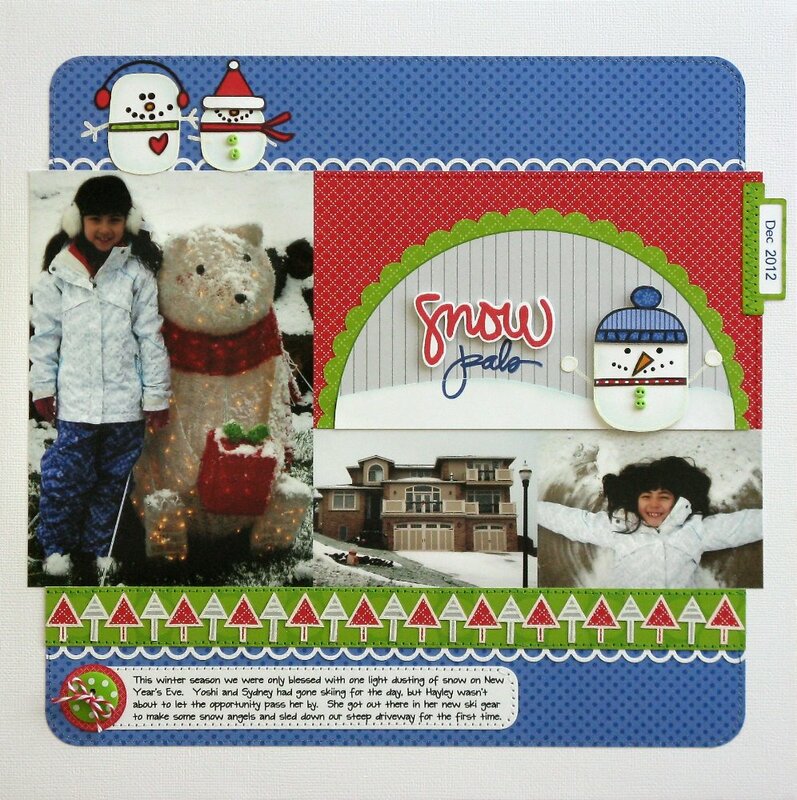 Today I have a layout to share which I created for Technique Tuesday using several new stamp sets designed by the creative goddess Teri Anderson and various patterned papers by Doodlebug. 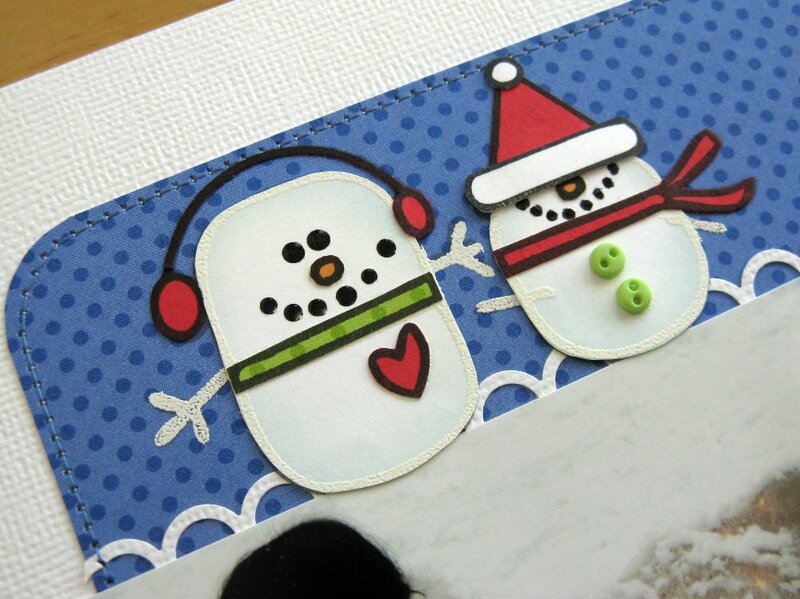 These adorable snowmen are from her darling Good To Snow set. I ended up paper-piecing them together and stamping them in both black ink and again with VersaMark and white embossing powder. I wanted my snowmen to be white all over, but this presented a challenge for their faces. A little Ranger Black Enamel to the rescue and I had just the look I envisioned. To make my white outlines pop, I rubbed the edges with a little bit of pale blue chalk ink. Ali Edwards stamp set. For my date tab I used their Noted Digital Cut Files along with their Sentiment Tabs by Ali Edwards set to stamp the year. Such a cute layout my friend. I love the papers! 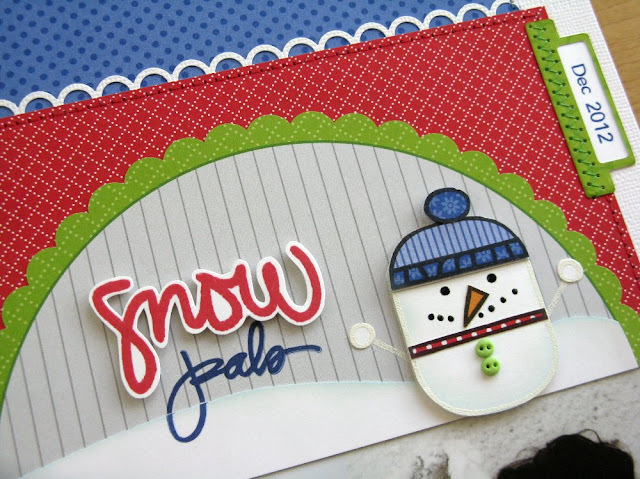 I think Doodlebug has some great papers, very fun and colorful. Love the photos too! I want to wish you and the family a very Merry Christmas and a Happy New Year!!!! All I can say is-I saw those trees and said WOW! You have a lot of patience and it looks wonderful! 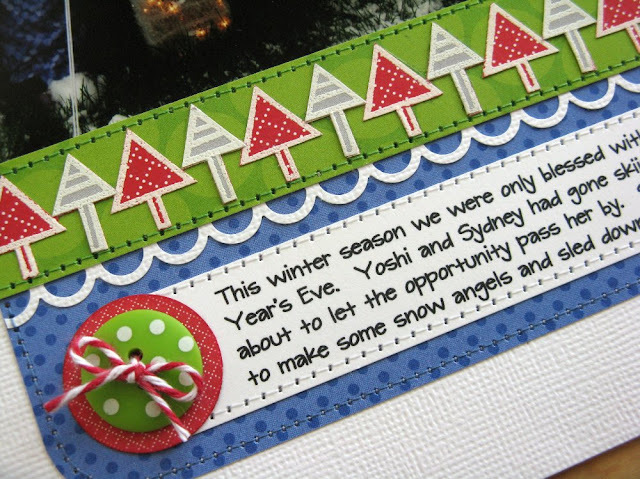 What's the font you used in the journaling-it's very attractive?